Today both Simply Rebekah and Simple Homeschool are inviting readers to share what a day looks like in their life. The other day I took some pictures and decided to play along, so you could get a little peek into life at our house. 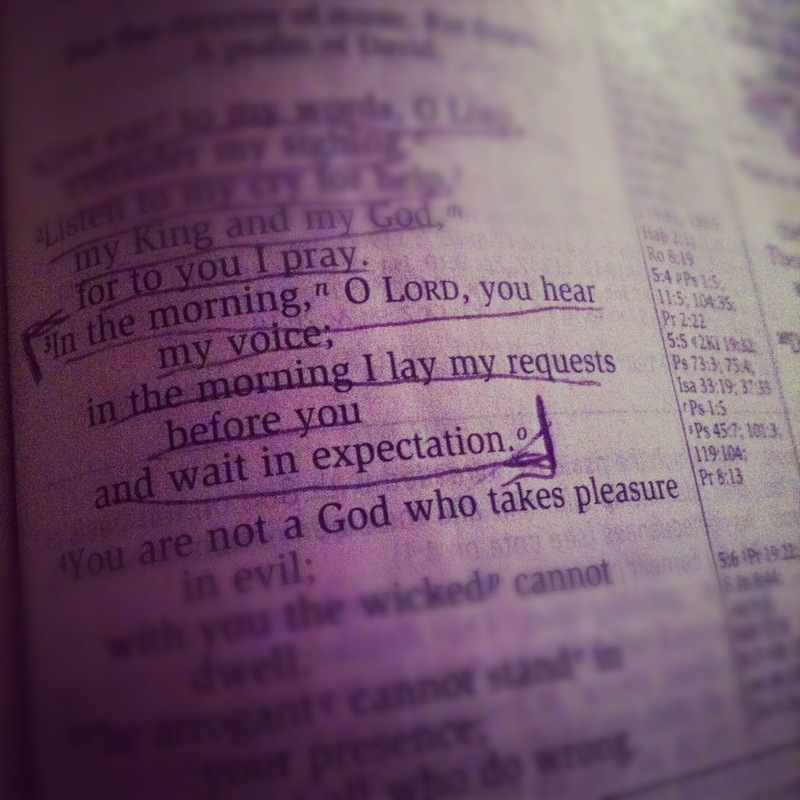 7am… I try really hard to get up before the kids, so that I can have some time alone to prepare for my day and spend time reading my Bible. Some days I am better at this than others. I was up with my youngest last night, who has been sick, so this morning I snuck in a couple minutes as my hubby starts breakfast for my oldest, who is already up. 8am… still breakfast time. 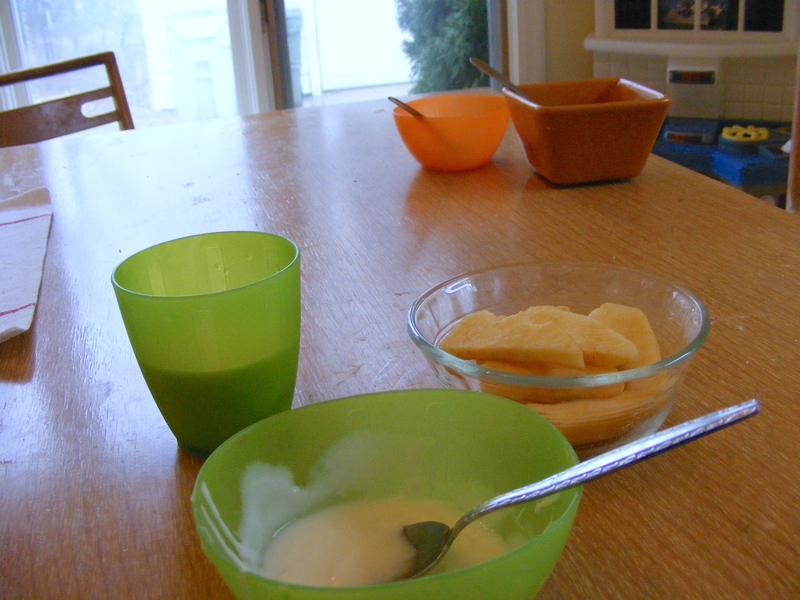 The kids woke up in shifts, so breakfast is taking a super long time this morning. But mornings go slowly around here, and we really like it that way. 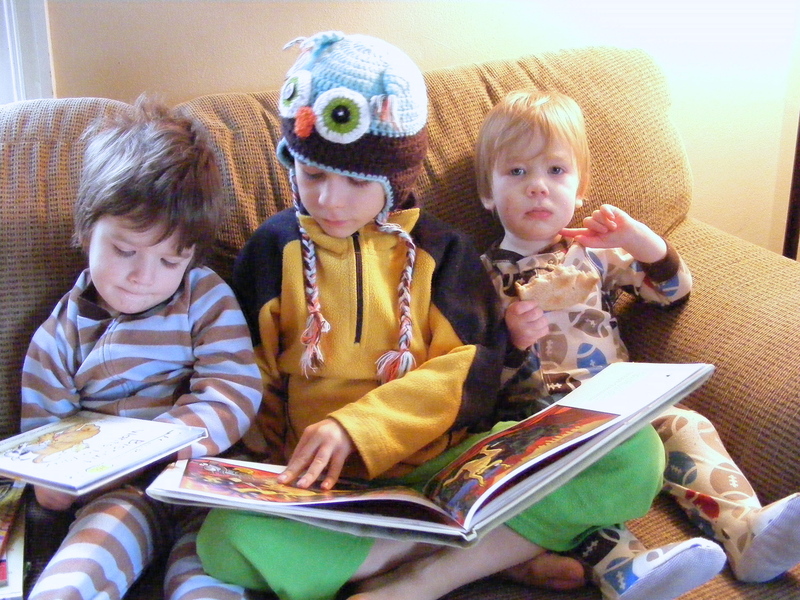 9am… the boys snuggle together on the couch to read the books we got yesterday at the library. We read a LOT of books in our house. 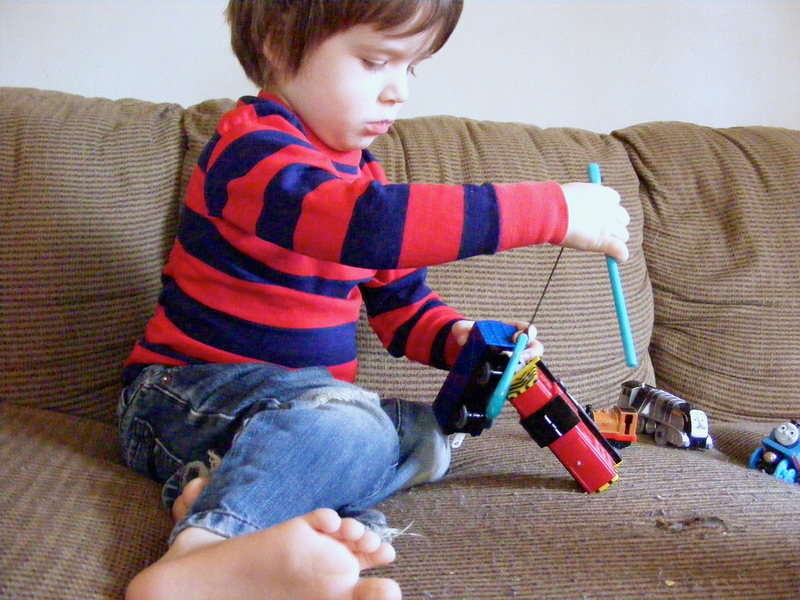 At this point in our homeschool journey, unschooling feels right for us. So reading is one of the most important things we do during our day… and it happens often. 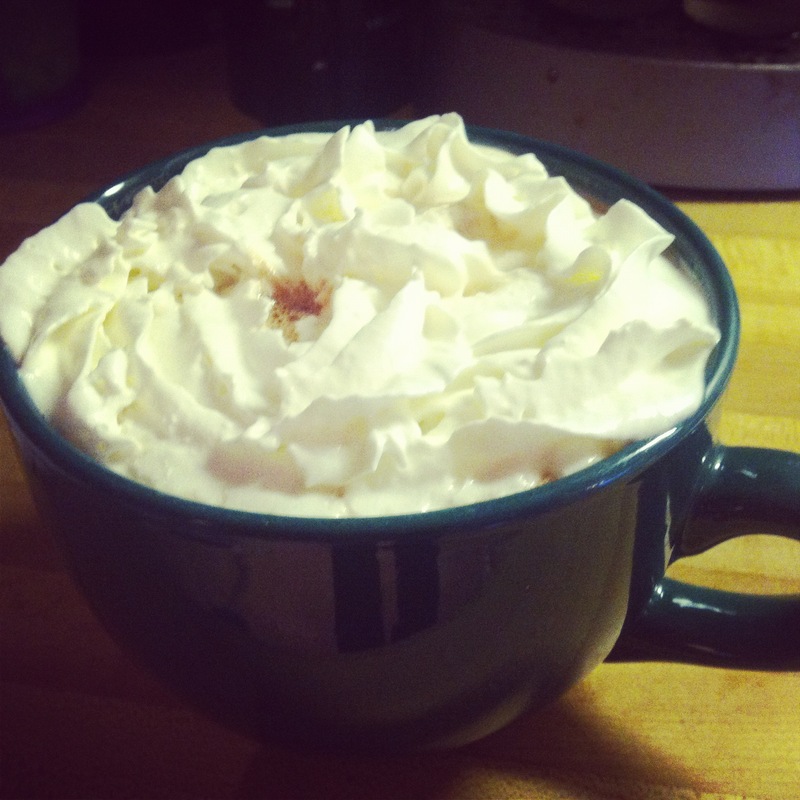 As they read, I drink this glorious loveliness. Morning is not morning without coffee. 10am… the boys play, and I referee. They would be content to play with their trains pretty much all day. And some days they do. 11am… It is ridiculously warm outside today. 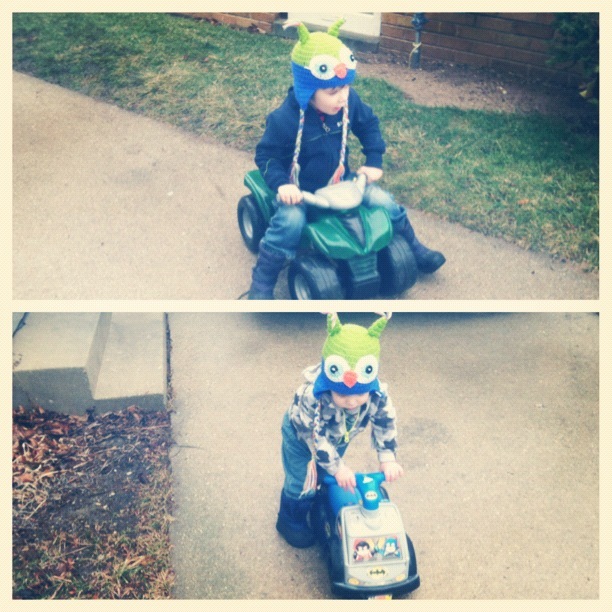 50 degrees in Wisconsin in January is pretty unreal, so since the rain has stopped, we head outside. In sweatshirts. In January. Ridiculous! 12pm… Lunch. 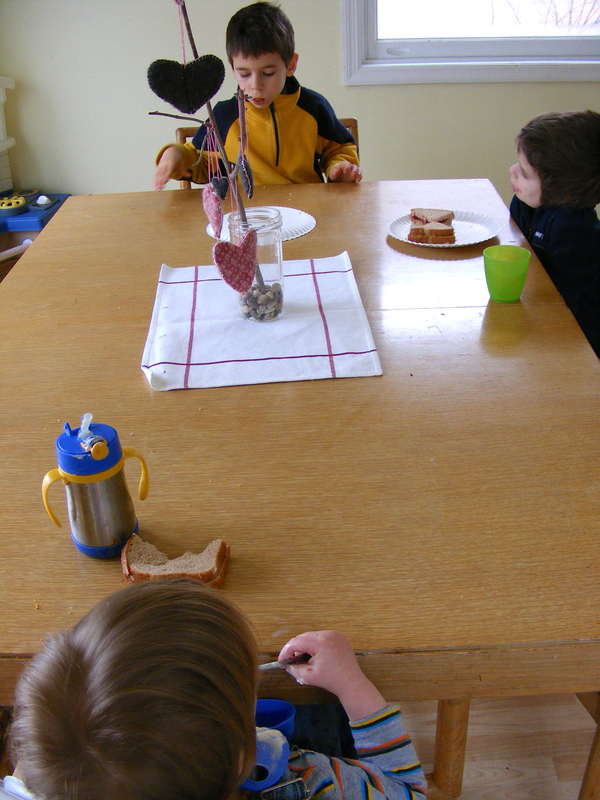 We eat a lot of peanut butter and jelly, because I like lunchtime to be easy – no arguments. And today we have no clean plates, so I bust out the paper ones, completely guilt-free. Because sick baby + pregnant mama = putting off the dishes even more than usual. 2pm… it’s raining again now, so I set the pattern blocks out on the table. My five-year-old loves these, so I let him have at it. And apparently today he needs to wear his hat all.day.long. Even though it’s 50 degrees in Wisconsin in January. I do some laundry and make myself sit for a few minutes, while I can. 3pm… I almost always spend some or most of naptime in my sewing room. 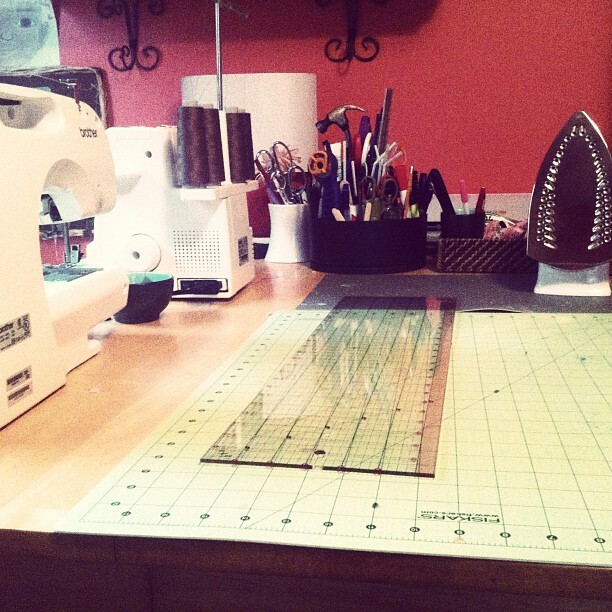 Today I don’t actually sew, but I clean off my sewing table, because I couldn’t even see the top of the table anymore. It’s a [super rare] refreshing sight! My three-year-old isn’t feeling up to playing after his nap, so my five-year-old writes and colors next to him on the couch. Writing is another natural part of our unschooling that happens daily. 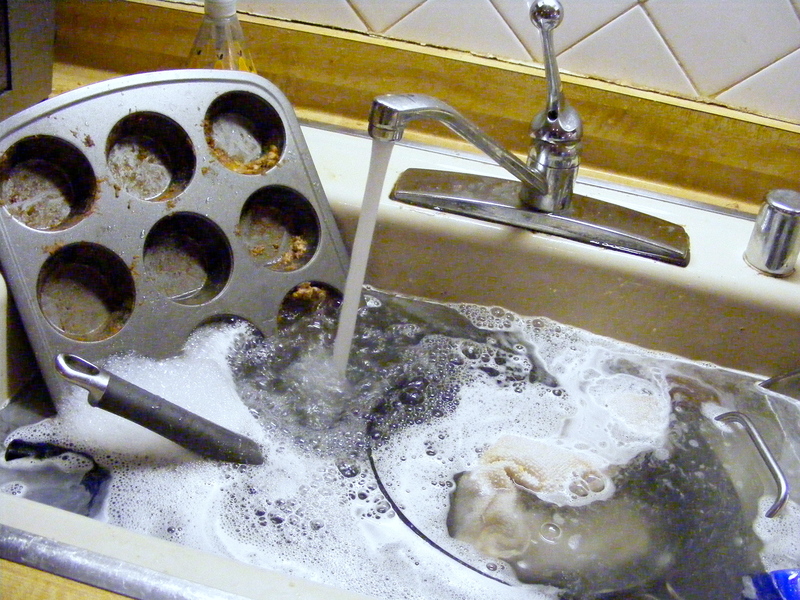 4pm… Dishes. I hate dishes, which should be obvious since we had no clean plates earlier. It is my absolute least favorite household task. The boys are all up and play surprisingly independently while I do this. 5pm… dinner prep, with about fourteen gazillion interruptions by these amazing little humans who fill my day. 6pm… normally we’re eating by now, but I totally forgot that I asked my hubby to stop at the store on the way home. 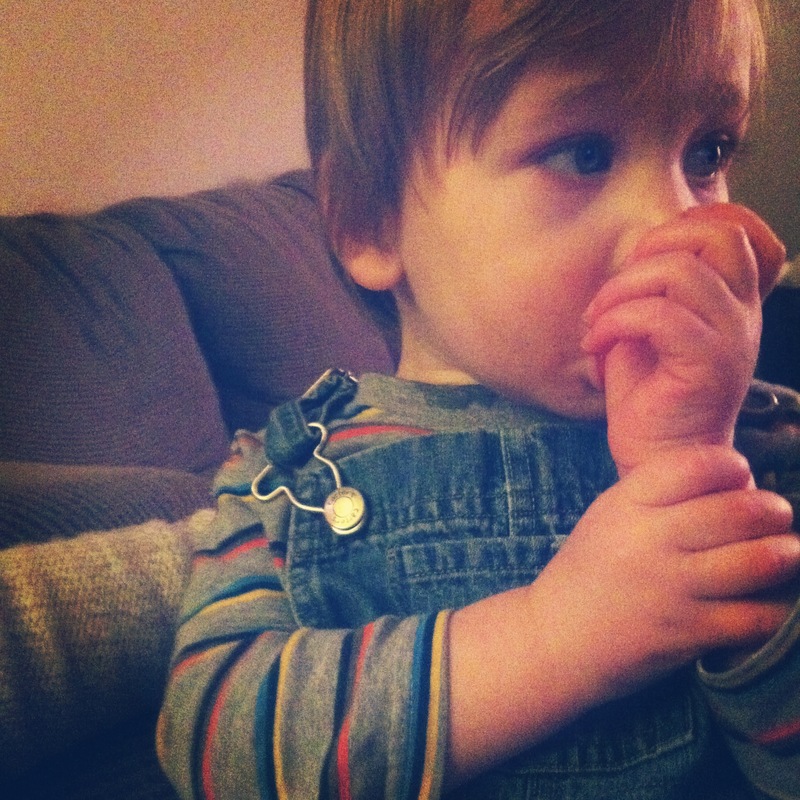 So I keep the food warm and snuggle with this dude, whose fever is still lingering. 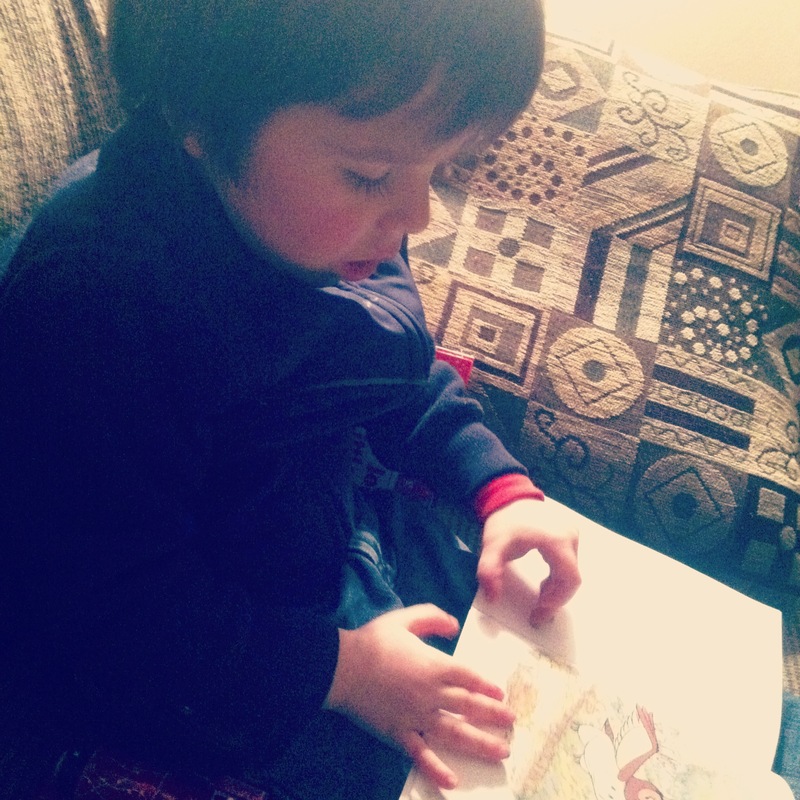 7pm… After dinner, I get to snuggle and read with my feverish three-year-old. Actually, I listen to him “read” to me the books that he’s memorized. I pretty much can’t handle the sweetness of this moment. 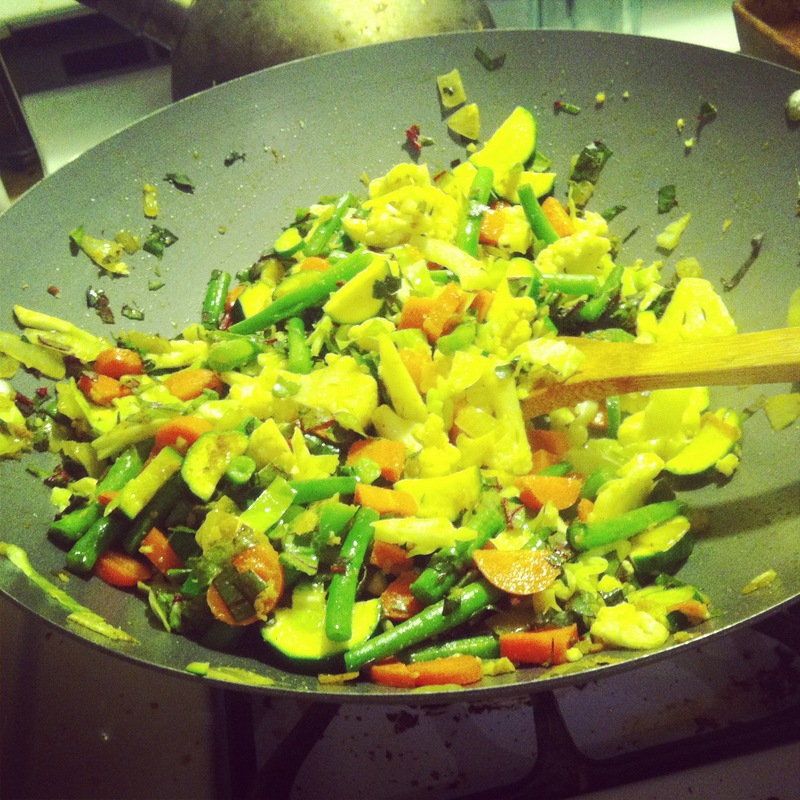 8pm… Kids are in bed, so I write up a quick blog post. 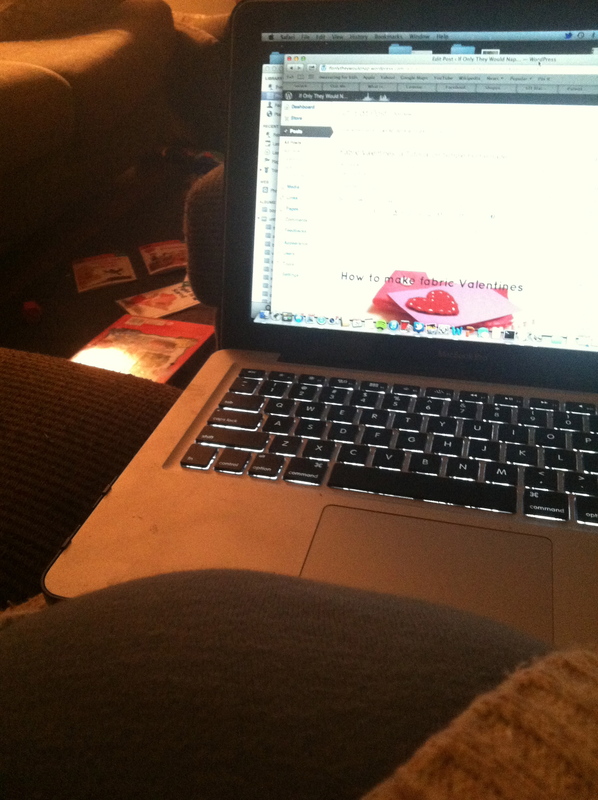 And completely ignore the mess on the floor in front of me, because this prego mama is super exhausted. The day ends not long after this… some nights I sew in the evening, some nights we eat ice cream and watch something on TV. But many nights we’re in bed by 9:30. Because we’re old and boring. 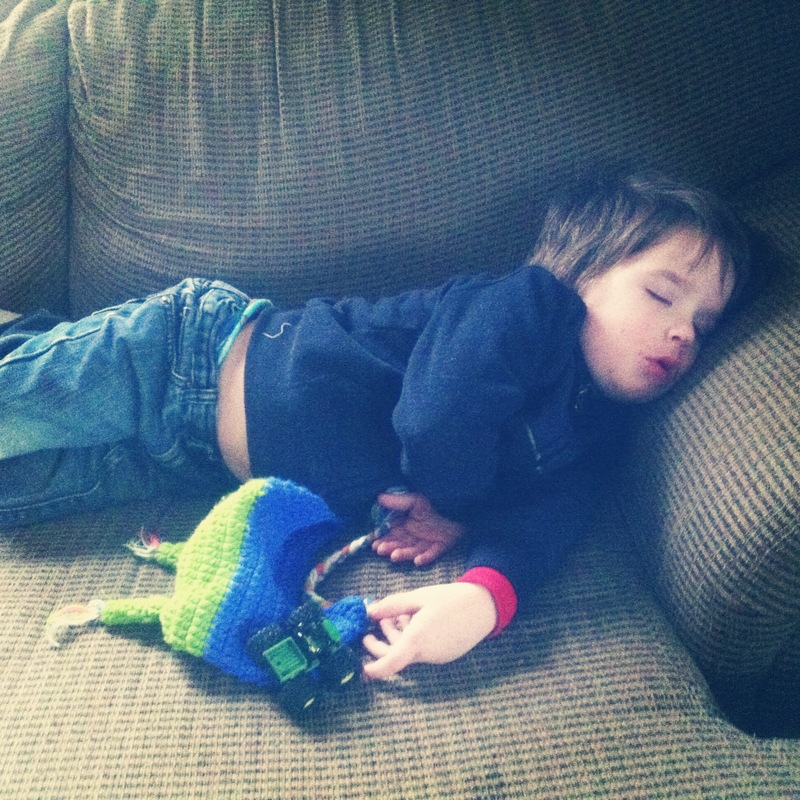 ;) And between our kids and my ginormous baby belly, sleep is a rare commodity in our house. And tomorrow the loveliness of my ordinary and yet extraordinary day begins all over again. Previous postThe Sewing Machine Saga Ends… I hope. I loved this post…so much Jess. 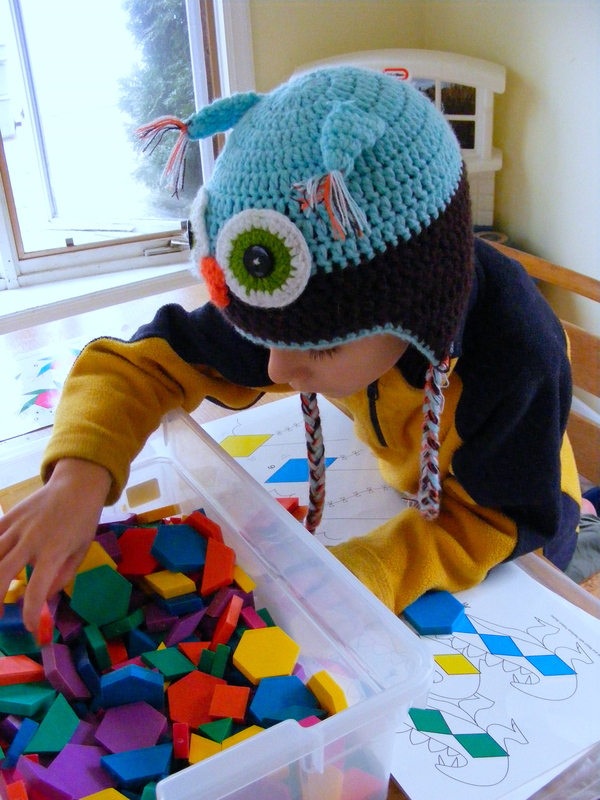 “Unschooling” is such a beautiful word and concept. I’ve been looking for a word for it in my own homeschooling world, but my descriptions are always so long…. I’ve been calling it the “Everything around you every minute is School” method. Lol. Thanks for your encouragement today. thank YOU! :) and thankfully, they are all better now! I love this! Everything … the playing, the unschooling, the dirty dishes, the thumb-sucking. :) Mine does that too. Thanks so much for sharing; it’s so encouraging to see the “real” life out there. All the best to you! What a wonderful day! Aside from the sickness, it seems rather perfect. Thanks for joining in all the fun this year! ha! thanks, rebekah :) it was fun – thanks for hosting! Love this peek into your life! Can you tell me more about your pattern blocks and activity sheets, I think Gigi would love those. thanks, nicole! well, unfortunately they’re a hand-me-down from a former teacher that i got when i was teaching. so i don’t have any idea where you could get them! i have seen similar activity sheets floating around the internet, though… it’s basically putting the shapes into pictures that are already made, usually animals or something like that. he really loves them!